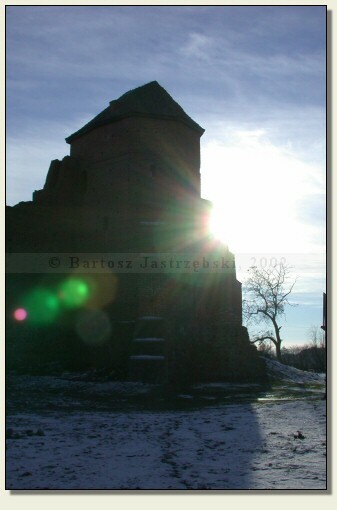 Driving down the road no 637 from Warsaw to Węgrów, after covering around 70 km you reach the place Liw. There you should continue to drive down the main road, by which at a given moment may be found a manually painted board, leading up to the castle. 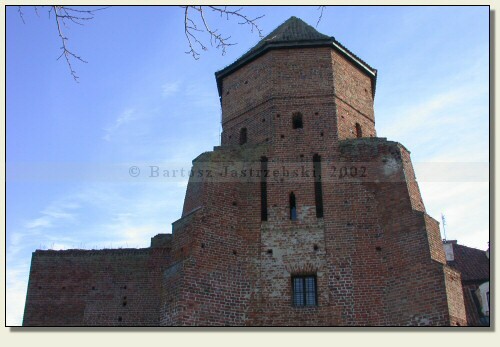 If you missed it, each inhabitant will show the way to the castle without any problem. 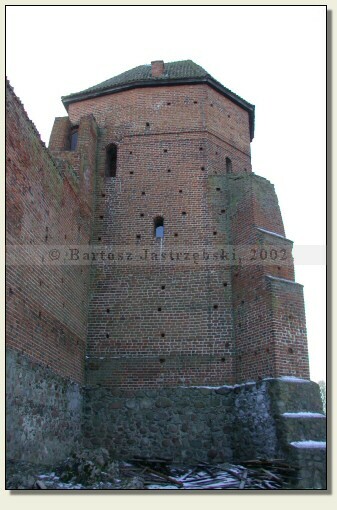 The castle in Liw was built at the end of the XIVth cent. 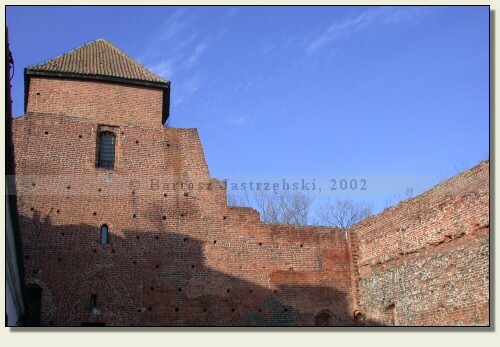 by the duke of Masovia, Janusz I of Warsaw in the place of the wooden-earth castle. 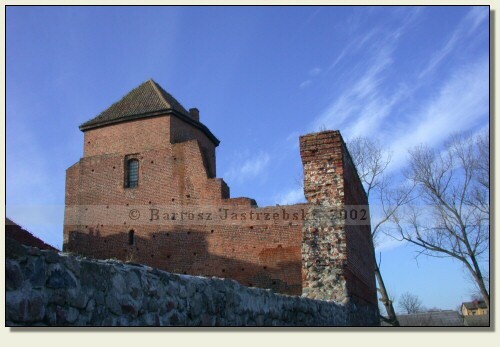 Already during the building the castle went down in flames and was not completed until 1429. 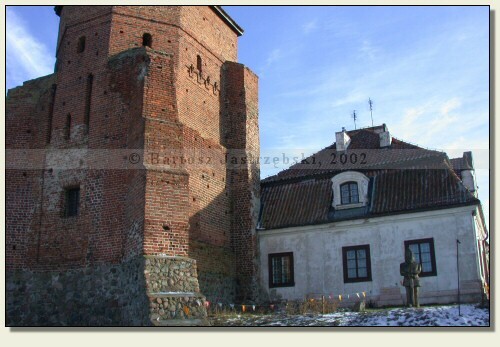 In the subsequent centuries the castle was being repeatedly rebuilt, till the XVIIth cent. 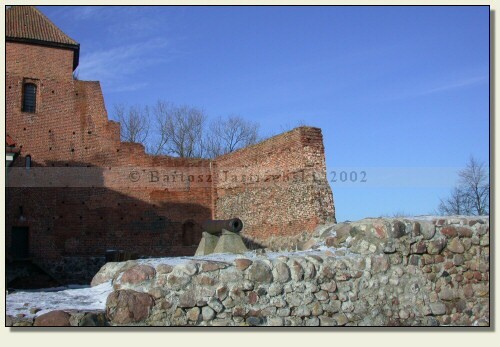 when it was destroyed by the Swedes. 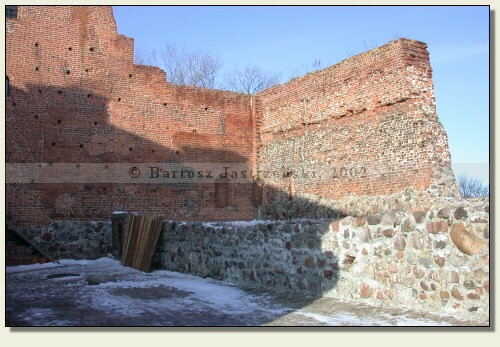 The castle remnants were disassembled, and in its place was built the manor in 1792 performing the function of the governor office. The manor was destroyed in the years of 1846-1855. 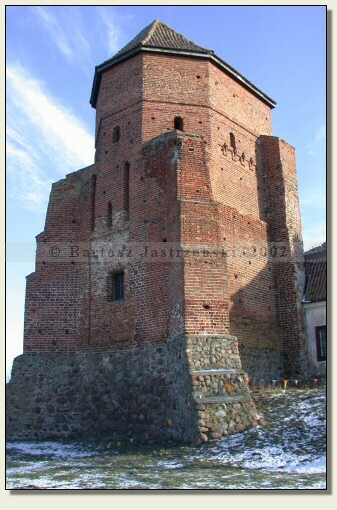 Currently existing buildings (tower, walls and manor) are the result of the postwar reconstruction.